Professional Plumbing Services | Doug Turner Plumbing CO.
Repiping is the act of replacing an old or faulty length of pipe—or potentially the piping throughout your entire home—with new pipes. In many cases it does only involve a single length of pipe, but occasionally it’s found that a whole home can benefit. Before repiping can occur, however, you need to be able to spot the signs that this is even needed. This can be difficult, since your plumbing system is mostly hidden from sight within walls or crawlspaces. Here’s a brief guide of what you should look for. 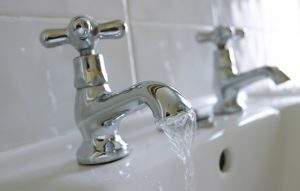 Should you notice any of these indicators, please give us a call for professional Cinco Ranch, TX plumbing services. 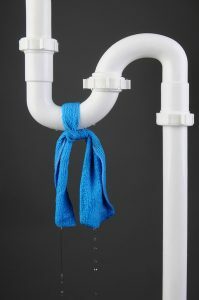 One of the most common plumbing problems our professionals get called out for is stubborn clogs—an annoyance for sure but an inevitable issue that almost every homeowner runs into at some time or another. Clogs are often one of those things that people deal with incorrectly. When sink clogs occur, most people reach for chemical drain cleaners, thinking that will permanently resolve the issues with their sink plumbing in Stafford TX. On the contrary, however, the vast majority of these store-bought cleaners actually use corrosive chemicals to do their job—and this is just one threat to the sink plumbing through your home. Keep reading to learn of more. 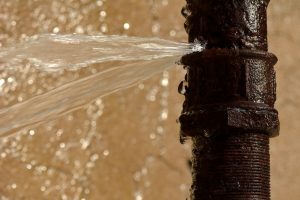 In some cases, a plumbing emergency is going to be pretty darn obvious—say, if you have water gushing out of a pipe in your kitchen and have no idea how to shut off the water to make it stop. In other cases though, the signs are a little less subtle (or maybe not that severe yet), and you might hold off on calling a plumber. This could end up being a huge mistake on your part. The fact of the matter is by the time a plumbing problem presents itself, it may be at the point that you’ve already wasted a lot of water, and subsequently money. Plus, you may have water damage in areas of your home you don’t even know about. So what warrants an emergency plumbing call? Posted in Plumbing | Comments Off on When Is a Plumbing Problem an Emergency? Are You in Need of a New Toilet? There aren’t many appliances in your home that are more important than your toilet, for a number of reasons. It sees activity every day, especially if you have a large family. Most of the time, they do their job just fine—but like everything else, eventually they wear out and need replacement. Whether its individual components wearing down or the toilet stops flushing all together, we have the bathroom plumbing services in Rosenberg, TX that you need. 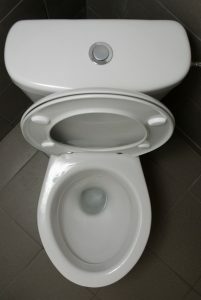 Posted in Plumbing | Comments Off on Are You in Need of a New Toilet? It may be hard to believe, but at one point historically, plumbers were just as important as doctors. This is according to Vice President of the Plumbing-Heating-Cooling Contractors Association, Ike Casey. Hiring a Plumber: Only Trust the Professionals! Professional plumbers have specific standards that they work by. These are in place to ensure the efficiency and longevity of your plumbing system, in addition to safety. When you’re in need of professional plumbing services in Sugar Land, TX, you needn’t look any further than the site you’re on now—but why is it such a big deal to hire a professional? Aside from a safety and liability guarantee that you’d get from a professionally licensed company, hiring professionals also affords you the following benefits. Posted in Plumbing | Comments Off on Hiring a Plumber: Only Trust the Professionals!